FORT WAYNE, Ind. (Feb.. 18, 2019) - Mosaic Building Solutions recently completed renovations of a 2,500 square foot studio for the Heartland Sings nonprofit vocal production company in Fort Wayne. Mosaic took a circa-1980 construction space and completely gutted it. The team then "added in a lot of love and turned it around into the new Heartland Sings home," according to Jake Fetters, president and project manager of Mosaic Building Solutions. The finished project — christened as the Patricia Mae Adsit Studios — contains a large rehearsal room, several small soundproof rooms and a meeting room, making the new workspace ideal for both formal and intimate music sessions. "This was our way of giving back to the community," Fetters said. "It was nice to have been referred by a member of the Heartland Sings board. The project fit into our slot as far as manpower goes, and they're a Great Owner to work for." The $188,436 project lasted two months and was completed in May 2018. Mosaic Building Solutions recently completed a renovation project for Lutheran Life Villages which created a new Memory Care Neighborhood in their facility on Anthony Boulevard in Fort Wayne. FORT WAYNE, Ind. (July 23, 2018) – Mosaic has named Garrett VanBrocklin as an Assistant Superintendent. VanBrocklin will assist the Project Superintendent with the management, direction, and coordination of onsite crews. He will also monitor adherence to project requirements in terms of quality, schedule, safety, and cost. 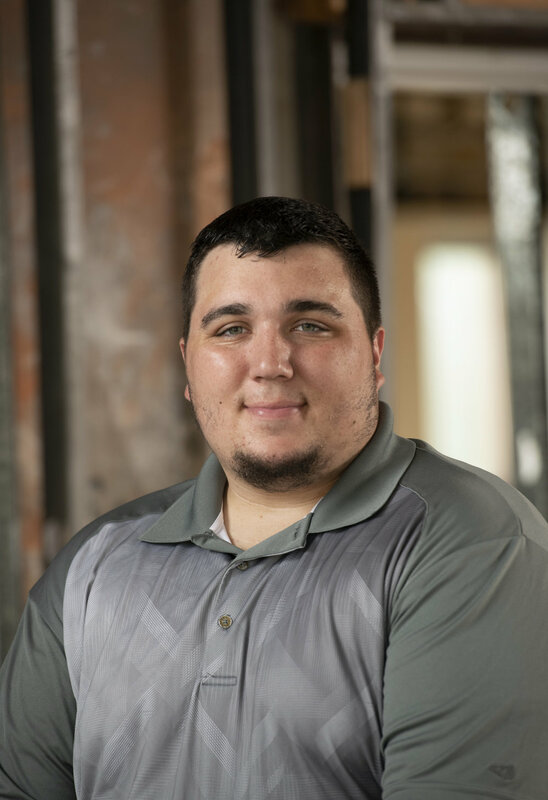 A 2018 graduate of Ball State University, VanBrocklin earned his Bachelor of Science in Construction Management. He has worked as a roofer and supervisor, assisting in the planning and coordination of major construction projects. FORT WAYNE, Ind. 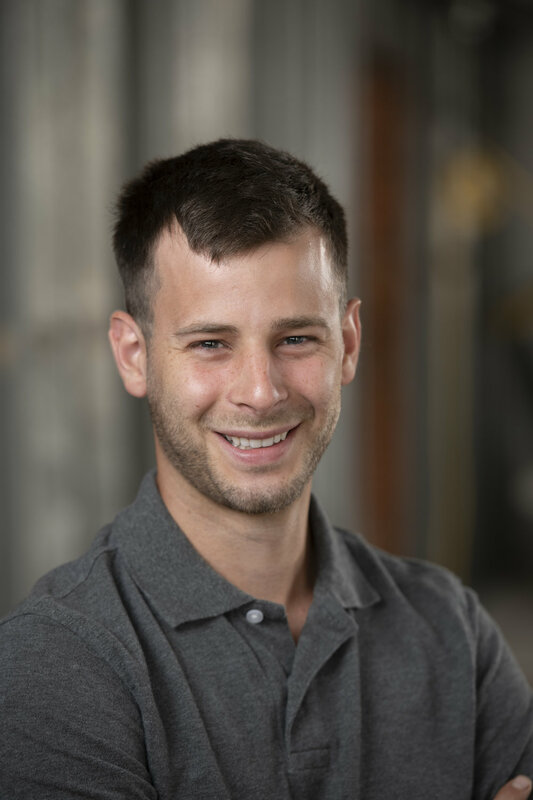 (June 27, 2018) - Mosaic has named Tyler Gerig as a Project Manager. Gerig will coordinate and direct the construction and post-construction process. He will also manage assigned construction projects and their project teams to ensure scheduled completion within established budget, time and quality standards. A graduate of Indiana-Purdue of Fort Wayne, Gerig earned his Bachelor of Science degree in Construction Engineering Technology. Since 2006, Gerig has worked in various capacities in the construction industry including time as a project manager and a director of operations. FORT WAYNE, Ind. (April 19, 2018) – In the middle of February 2018, the owners of Mad Anthony Brewing, a popular dining destination just south of downtown Fort Wayne, closed their doors to make some needed changes to the majority of the space. When Blaine Stuckey and his Mad Anthony team started planning with Mosaic Building Solutions, they had some very specific updates along with another important request. It all had to be completed within 14 days. In order to avoid excessive loss of business and to help their staff avoid loss of wages, the restaurant could not be closed more than two weeks. This required a high-level of coordination between the Mosaic and Mad Anthony teams. The project involved tearing out the original kitchen, remodeling the bar area along with the seating around the bar, and replacing several raised floors. These tasks were difficult enough, but when considering the age of the facility and coordinating with city officials and the board of health, this effort required maximum cooperation from both Mosaic and Mad Anthony to remain as agile as possible when making adjustments during construction. Park credits the project’s success to effective owner involvement from Mad Anthony, along with trust, confidence and communication from both parties. Established by industry veterans Jake Fetters and Steve Park, Mosaic combines 125 years of construction and design industry experience with a new vision for the building industry, all aimed at a better experience, value and result for its clients and partners. WARSAW, Ind. (Jan. 29, 2018) – The town of Warsaw will soon be served by a new fire station, officials recently announced. The project, designed by Martin Riley Architects & Engineers, and being built by Mosaic Building Solutions, has been in the planning stages for over four years. It is being built new from the ground up and will be just under 14,000 square feet. The designers and builders have worked very closely with Warsaw Fire Chief Michael Wilson and many local officials to make sure the space is visually appealing for its location. The brick and stone structure captures a bit of the local flavor and is designed to maintain a very warm, inviting feel to complement its residential surroundings. In terms of service capabilities, this will be the first fire station in the area housing an ambulance, which will be contracted from Lutheran EMS. This will greatly improve response time to injured people and other health emergencies. Plus, a special storm sewer structure will be installed under one of the engine bays which can be used for confined space training for public safety employees. “We are very excited about getting this phase done with the fire territory,” said Wilson. “The community response has been very good. They’re excited about having a station on their side of town.” Wilson noted that this station will be located south of railroad tracks which had made covering that portion of the Warsaw area difficult. A new tornado siren at the fire station will also serve this portion of the city. There will be a final beam signing ceremony before it is placed at the top of the fire station structure. More details about the beam signing will be available soon. FORT WAYNE, Ind. (Jan. 29, 2018) – As plans are being developed for dramatic improvements to downtown Fort Wayne, a new restaurant has opened its doors in the heart of the action. After architect MSKTD completed some preliminary design work, building owner Mark Millet, restaurant co-owner Prill Chaisuthi and Mosaic Building Solutions collaborated to ultimately develop NAWA, a Thai-fusion restaurant newly opened on first floor of The Landing. The restaurant’s owners wanted to bring a unique dining experience to match the energy and individuality of downtown Fort Wayne and the people who live, work and play there every day. They made that happen by creating a space that is as functional as it is visually interesting. The upper level main dining area and the lower level, which houses a variety of spaces for private dining, offices, storage and more, both feature the original brick perimeter walls to maintain the history of this structure. NAWA, which means “New Beginning” in Thai, opened to a select number of customers between Christmas and New Year’s Day, then opened to the general public in early January. Diners can enjoy this new establishment Monday through Saturday, and full hours and menu can be found at nawa.live. AUBURN, Ind. (July 18, 2017) – Breaking ground last month, Mosaic Building Solutions is working with ALDI to bring the discount supermarket to Auburn’s marketplace by year’s end. Located at 207 Touring Drive, Mosaic began the project by demolishing the existing building on the lot. The hope is the brand new 20,000 ft2 space will better serve the community that has limited choices in where they are able to buy groceries. The $2.5 million project will wrap up in December and should be open at the beginning of 2018. FORT WAYNE, Ind. (April 18, 2017) – Mosaic Building Solutions is adding two new employees to their growing roster to help aid in business development and accounting. Joining the team as the business’s Accountant, Beverly Inskeep is originally from Decatur, but moved to Fort Wayne while pursuing a degree in accounting. After nearly 10 years within the healthcare field, Inskeep decided to make the switch to the construction industry. Mosaic’s new Business Development Manager, Jenny Cronenwett, has spent her life in sales and construction. Growing up in Connersville, Cronenwett’s father owned a construction company, where she first learned the in’s and out’s of the business. After moving with her family to Fort Wayne almost a decade ago, Cronenwett worked in sales. Opening their doors in 2014, Mosaic and E&V Construction combined their work force in 2015. Since then, Mosaic bought the 709 Clay Street property in late 2016 and has been remodeling the first and second floor for continued growth opportunities. They currently have 23 employees. FORT WAYNE, Ind. (March 14, 2017) – Mosaic Building Solutions is announcing their partnership with Steel Dynamics, Inc. (SDI) to create worker locker rooms in two of their Columbia City buildings. The build out will be located in the HSM and Rail Welding buildings, for a total of 6,800 square-feet. The project aims to give employees a private space to change after a shift. The two locker rooms will be fitted with storage lockers, private bathrooms and large showers. The exterior of the new addition is made up of three-inch insulated metal wall panel, which allows for a faster build out, without sacrificing on insulation and weather proofing qualities. The project is set to wrap up in July 2017. FORT WAYNE, Ind. (February 2, 2017) – Looking to expand their services within the greater Fort Wayne area, Convo Relay is working with Mosaic Building Solutions to expand and remodel their current office to support a growing team. With their current space at 1,000 square-feet, the new building will be over four times this size, boasting 4,200 square-feet to aid in further developing their services. Located on Dupont Circle, the $250,000 project will wrap up at the beginning of March 2017. Based out of New York, Convo Relay is a deaf-owned business that provides a video relay service enabling the deaf community to use an interpreter to speak to others via phone. To ensure the individual needs for each client, their new building will have specific sound proof design properties and materials for quality acoustics. The Mosaic team also has had to factor in the need of visual sight lines due to the majority of Convo Relay’s daily work is done through video conferencing. “It has been a joy to work with the the Convo Relay ownership team,” said President of Mosaic Building Solutions Jake Fetters. “This job has posed new and interesting challenges for everyone on the crew due to the nature of the client’s work. It is great to see the amount of detail that has gone into the project to ensure the new space is perfect for Convo Relay’s team. This project is predicted to have a large and overwhelmingly positive impact for the regional deaf community, as it provides them with better communication services for their family and friends. FORT WAYNE, Ind. (December 8, 2016) – In an effort to expand business and engage with the downtown community, Mosaic Building Solutions has moved their office to their newly purchased 709 Clay Street property. Previously owned by the Fort Wayne Medical Society, Mosaic has plans to renovate the three-floor, 12,855 square-foot building where the historic structure and façade will receive a modernized interior. Moving into parts of the second floor for their office space, they are also putting plans together to have a presence on the first floor which will be shared with the Fort Wayne Medical Society. The renovation of the first two floors will wrap up by March 2017. Plans for the third floor have not yet been finalized. In a night that will bring out the inner scientist, the gala ensures attendees ages 21+ will have fun using all their senses as they learn about the art of mixology. With demonstrations performed by Ivy Tech students, Cardinal Spirits, Science Central and some of our communities’ best bartenders, guests will learn more about the science behind how drinks are made to address each of our five senses, and will be voting for their favorite drink/bartender of the evening. Tickets are currently on sale for this cocktail-attire event. Individuals can purchase tickets for $60 and couples for $110. FORT WAYNE, Ind. (September 6, 2016) – Looking to update the camping experience at the YMCA Camp Potawotami cabins, the YMCA and Mosaic Building Solutions are beginning work on the second of the three new lodges being built. Located in Wolcottville, Ind., the new 2,400 square-foot cabins will give campers a comfortable and modernized outdoor experience with new individual showers and bathrooms located within the cabins. The $280,000 project will also include two bunking rooms that will accommodate up 28 people and a large common area. The construction will wrap up by the beginning of November and officially be in use as of the 2017 Summer. To learn more about Summer camp registration, call 260-351-2525, or visit fwycamp.org. FORT WAYNE, Ind. (August 19, 2016) – Looking to invest into the upkeep of northeast Indiana, Mosaic Building Solutions and Noble County are beginning work on a new maintenance facility. The project will consist of a new 7,160-square-foot building that will enable the county to provide quicker and better services to those living in the surrounding area. The $1.4 million job will include the installation of two state of the art equipment lifts and cranes. This machinery will give the crew the instant mobility to work with heavy equipment—leading to better response time and in-house abilities. Looking to wrap up the project by February of 2017, the Mosaic team will first have to utilize GeoPiers that will provide additional support to the structure due to soil conditions, and then relocate the power and fiber optic cables to the new structure. The existing site is at 1118 East Main St, Albion, Ind. FORT WAYNE, Ind. (June 13, 2016) – On Monday at 9 a.m., Mosaic Building Solutions and Wine Down Tastings and Tapas will be closing two lanes on Jefferson Blvd. to install Fort Wayne’s first container facility on the wine bar’s outdoor deck. The $85,000 project will include a 320 ft2 outdoor bar that will be the area’s first custom made structure from a steel shipping container. The box will provide an indoor kitchen and bartending space, with seating for up to 30 along the outside counter. Not only will this be unique outdoor space, but the project is also a part of a green initiative. With a surplus of shipping containers due to import/export disparities, this new trend aims to repurpose containers into maintainable and functional spaces for businesses by installing openings, electrical, gas, water and specialized painting. Located on the corner of Jefferson Blvd. and Harrison St., Wine Down Tastings and Tapas plans to open the new space on July 1, 2016. FORT WAYNE, Ind. -- Making the rounds amongst IPFW’s campus, Mosaic Building Solutions is breaking ground on two renovation projects this Spring that aim to update student facilities. Already at work in the Helmkey Library, the Mosaic team will be updating eight restrooms on four floors within the library. Spending $395,000, the 2,500-square-foot project will include a complete remodel of the restrooms that were last updated in the 1970’s. Both modernizing and reconfiguring to maximize space, the job will wrap in the Fall of 2016. “Mindfully working to keep distractions to a minimum, the majority of the projects will take place throughout the Summer months to not disrupt students,” Fetters said. Mosaic is also making upgrades to the Walb Student Union’s billiards area; a space adjacent to the student government office. Constructing a coffee bar and glass wall, only 1250-square-feet will be affected. This project sanctions the billiards-area fun by the ensuring pool balls cannot haphazardly escape from the space. The updates will be completed by the beginning of the 2016 school year.